In order to mitigate your writing process, read through the following And Then There Were None essay. It was written be a professional writer. You can’t present it as your own essay. “And then there were none” is completely different from most entertaining detectives created based on the series about Miss Marple and Hercule Poirot, which viewers are not serious about because they clearly have nothing to do with reality. 10 people from different walks of life find themselves on a small island. Under various pretexts, they are invited by a certain Mr. and Mrs. A.N.Onym. All of them on the very first night are accused of committing various murders. All of them are sentenced to death. Unknown begin to kill the guests one by one in the order of the children’s counting about the Negroes. There is no salvation for anybody. But who is this mysterious killer? If you begin to read the following And Then There Were None essay, you will see that it discuss the narrative techniques that Christie uses to create and maintain suspense throughout the novel. Discuss the narrative techniques that Christie uses to create and maintain suspense throughout the novel. The novel And Then There Were None written by Agatha Christie and published in 1939 became the iconic mystery story which has set standards for the genre worldwide. However, the global acknowledgment and fame of the author were the natural outcomes of the unique style of her writing. Agatha Christie created the story that is disturbing and appealing in equal measure because of its entirely enigmatic developing. The means making the novel extremely catchy is mostly the skillful usage of the literary devices and understanding of the human psyche. 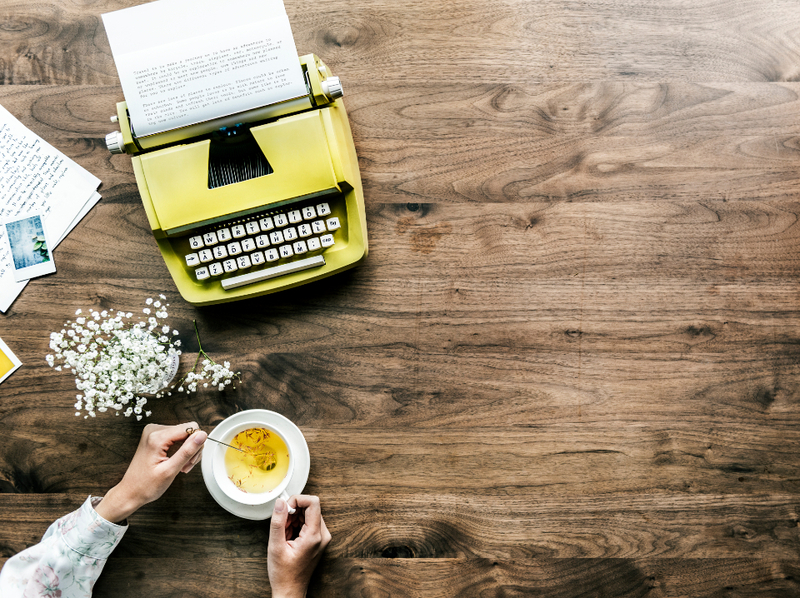 While the later one has a little reference to the technique of writing, it is of considerable importance when it comes to the emotional impact of the novel. The suspense that is considered the primary asset of the book is attained through a profound and intricate use of the language capacities throughout the text. The first and the most obvious literary device used by Agatha Christie to create the feeling of suspense and evoke overwhelming emotions in the readers was the use of foreshadowing at the beginning of the story. In literature, this technique is mostly used to hint at the further development of the plot, and while there was a prominent accent on this moment in the text, the reader unerringly predicts the worst-case scenario. The words “The day of judgment is very close at hand” point at as a minimum two significant aspects of the story that is the concept of justice as the principal motive of the plot unraveling and cue to some guilt the characters involved are bearing. However, it is the ominous slant of the message that is the crucial detail giving rise to the bad premonition. Secondly, Christie falls back to the audience confusion and, at some point, the effect of the defeated expectancy. The author reveals to the readers that all key characters were coming to the island due to personal arrangements. Namely, Marston is the person looking for some fancy party; Vera Claystone heads to the venue to take a position as a secretary; General Macarthur is sure he has an appointment with his former comrades, and so on. Though different reasons spurred all characters, the fact reinforcing suspense is that all of them received invitations from the same people. That point puts the audience on guard, for regularly such a coincidence is highly unlikely. Thus, the reader realizes that there is only one actual rationale why all the characters gather at the same place, and it is linked to the ‘judgment’ which already has set anxiety in the audience. Besides, by revealing the fallacy of the stated reasons the author allegedly ensures the readers with the sense of absolute knowledge as if they were able to figure out components of crime with the help of hints and logic. The nursery hymn present in the room of each character is the final hint at the integrity of the situation. In fact, the plot development is a precise allusion to the text of the hymn that describes how ten Little Indians died one after another with no reason given but straight facts as “One choked his little self and then there were nine” and “One overslept himself and then there were eight.” The severity of the lyric and the way it acquires the features of prophetic is where the suspense starts to increase exponentially. Moreover, by the time the readers are deprived of the access to the omniscient point of view and have as much information at their command as the characters themselves due to the constant switch of the narrator. Thus, the allusion proved to be a very efficient technique creating suspense in both dimensions, the fictional and the real one. Also, some special attention should be paid to the role of symbols in the novel, for they accompany and complement all central events as they occur. Thus, as the train was approaching the island, Vera Claythorne was astonished by the panorama: “there was no house visible, only the boldly silhouetted rock with its faint resemblance to a giant Indian’s head. There was something sinister about it.” The setting itself gives no positive impression because it is a closed area since the sea surrounds the island, it is similar to the trap. Besides, the disturbing emptiness of the picture on the island literary stands for rendering futility of their arrival. Another significant symbol is the heavy storm that parallels with the murders on the island. At large, a storm is a culturally shared symbol implying emotional tension, danger, or unfortunate event. In the context of And Then There Were None, it is an uncontrollable and inevitable influence, to the same extent as deaths of the characters. With respect to this, the novel is peppered with symbols that work as a unit and help the author to add volume to the story and consequently produce a higher impact on the audience. While the symbols affect the readers on the emotional level, some literary devices aggravate the suspense in the process of reading. Thus, the name of the person who allegedly invited the characters was U.N. Owen, which sounds like ‘unknown.’ Apart from that detail that also functions in both directions alerting the fictional and the actual readers, the author also makes use of idioms. The spectacular example is the phrase “By Jove, he’d sailed pretty near the wind once or twice!” where the idiomatic expression ‘to sail near to the wind’ stands for performing some dangerous action. In such a manner Christie embraces numerous resources of the language mostly relying on pans, ambiguous locations, a standard switch of the point of view, and conjuring symbols in order to maintain suspense throughout the novel. In the light of the mentioned above, And Then There Were None acquired its global acknowledgment due to the spiraling vibes of danger and continuous psychological tension. Agatha Christie managed to devise a wholly enclosed world that functions on its own with no respect to common sense and received social standards. Nevertheless, it is the fully fledged world people voluntarily believe since it demonstrates the exposed human nature. The narrative techniques implemented through the text prove the Agatha Christie’s mastermind that is the deep understanding of the human driving force and the fundamental principles of moral coercion. The novel today is a world bestseller, but also a manual for writers to evaluate what response a qualitative mystery story should evoke in the audience. However, it is not fame that one should look up to but the intensity of emotions and the ways of its adjustment as the plot develops. Christie, Agatha. “AND THEN THERE WERE NONE.” Archive.org. N.p., 1939. Web. 22 Jan. 2018. “Definition Of SAIL CLOSE TO THE WIND.” Merriam-webster.com. N.p., 2018. Web. 22 Jan. 2018. “Foreshadowing – Literary Devices.” Literarydevices.net. N.p., 2018. Web. 22 Jan. 2018.